It is obvious that gorilla trekking is the number one activity in Uganda, Rwanda and the Democratic Republic of Congo and thousands of tourists make safaris to these three countries just for the purpose of encountering the critically endangered mountain gorillas in their natural habitats. 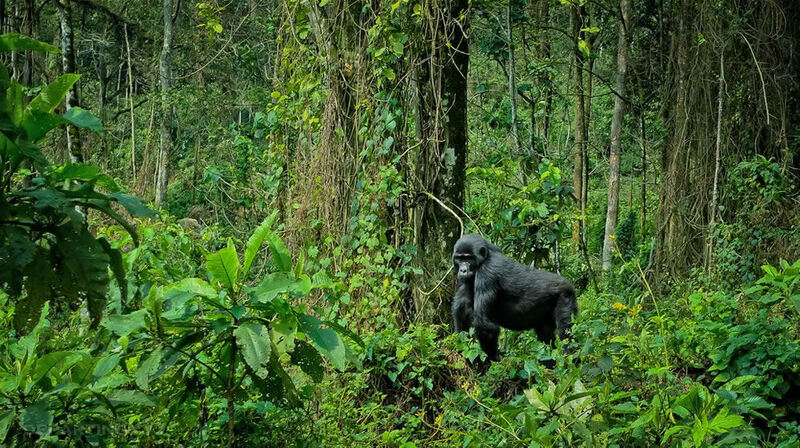 The remarkable experience of encountering the Giant Apes can only be achieved from Uganda’s Mgahinga Gorilla and Bwindi Impenetrable National Parks, Rwanda’s Volcanoes National Park and the Virunga National Park in the Democratic Republic of Congo. 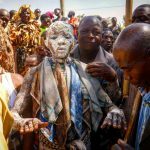 Tourists always get confused on whether to go gorilla trekking in Uganda, Rwanda or Congo but the final decision or choice usually depends on the individual’s personal desires because the experience is always unique and different in each of the destinations. However, if you are to study the three countries, Rwanda is generally the best destination for tourists with limited time but with most expensive gorilla permits, Uganda is known for its cheaper permits while the Democratic Republic of Congo offers the cheapest gorilla permits but considered unsafe for tourists because of the many cases of tourist kidnappings and murdering of Park rangers. If you are looking for the easily accessibly gorilla destination, then Rwanda’s Volcanoes National Park is where you ought to be because with only two hours’ drive from Kigali City/International Airport, you can reach the natural habitat of the mountain gorillas. When it comes to flights, tourists can fly directly from their countries of origin to Kigali International Airport, which is not the case with Uganda that even has no National carrier. More still Bwindi and Mgahinga National Parks are about 8 to 10 hours’ drive from Entebbe/Kampala, making it cumbersome for intending gorilla trekkers hence the reason Rwanda is always the number one choice. When it comes to gorilla families, Uganda shelters the highest number of gorilla families-14 in Bwindi Impenetrable National Park and one in Mgahinga National Park, followed by Rwanda’s Volcanoes National Park with 10 habituated gorilla families and finally Virunga National Park of Democratic Republic of Congo with only 6 habituated gorilla families available for tracking. Therefore, Uganda sells over 100 gorilla permits per day, Rwanda sells 80 permits while only 48 permits are available for Virunga National Park, hence making Uganda the ultimate gorilla trekking destination. All the three countries where mountain gorillas are found have different prices of gorilla permits with the Democratic Republic of Congo being the cheapest charging only $450 per person, followed by Uganda that charges $600 for foreign non-residents, $500 for foreign residents and Shs 250,000 for East African community residents but Rwanda is the most expensive charging $1500 per person, hence making it the most luxurious gorilla destination and undoubtedly the ideal place for up-market tourists. With $1500, you can be able to spend four hours with the mountain gorillas during the gorilla habituation Experience that is only available in Uganda. You can’t compare the three countries without mentioning the ease and difficulty it takes to track the mountain gorillas and if you have tried all the countries, you will agree that Uganda is the most challenging area while Rwanda is considered the easiest. Mountain gorillas in Bwindi also prefer areas of higher elevations ranging from 1190 to 2607 meters above sea level unlike the ones in Volcanoes National Park that are often sighted within the lower Bamboo forests, which also offer the best sighting and photography compared to the other places. 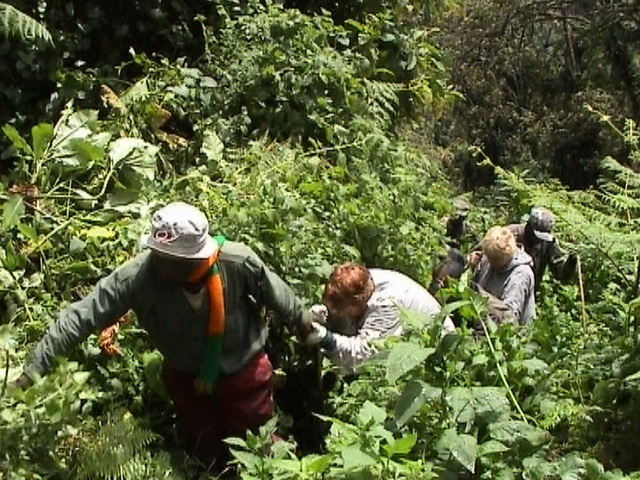 Not only that, the vegetation of Bwindi Impenetrable National Park is generally thick with undergrowth hence making it more difficult for trekkers to walk through hence making it the perfect place for the adventurous travelers willing to go off the beaten track. In most cases, tourists don’t consider just the distance and prices of gorilla permits when comparing the three countries but also the pre-tracking experiences. While on your way to Bwindi or Mgahinga, there are several interesting places you will find during stopovers and these include the Equator along Masaka road where photographs can be taken, the Igongo Cultural Center as well as the breathtaking hills of Kigezi yet the short distance from Kigali to Volcanoes make it difficult to relish the attractions on the way. 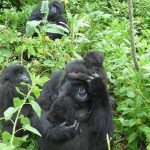 Therefore, gorilla trekking is conducted within three wonderful African countries-Uganda, Rwanda and the Democratic Republic of Congo but the experience varies in terms of pre-tracking experiences, price of gorilla permit, ease or difficulty in tracking and the number of gorilla families to be encountered during the trip.